I'm starting this blog hoping it will help me develop my tarot skills. I read mostly for myself and sometimes for friends and family. 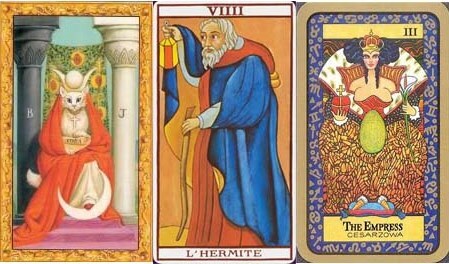 Just recently I started exploring the marvels of Marseilles Tarot. I believe I'm not very good with blogs as opposed to journaling (I've been writing my diary for 21 years now...), but we'll see how it works! How will the party go?